By setting the center square “on point” I was able to achieve a nice balance. I used stencils for the feathered circles and the feathered corners. The most time-consuming part was picking the colors and the layout. 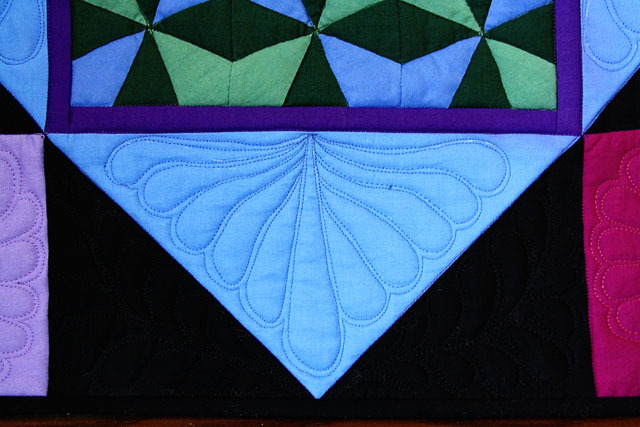 I used my digital camera to test several options–this is very helpful when laying out blocks. 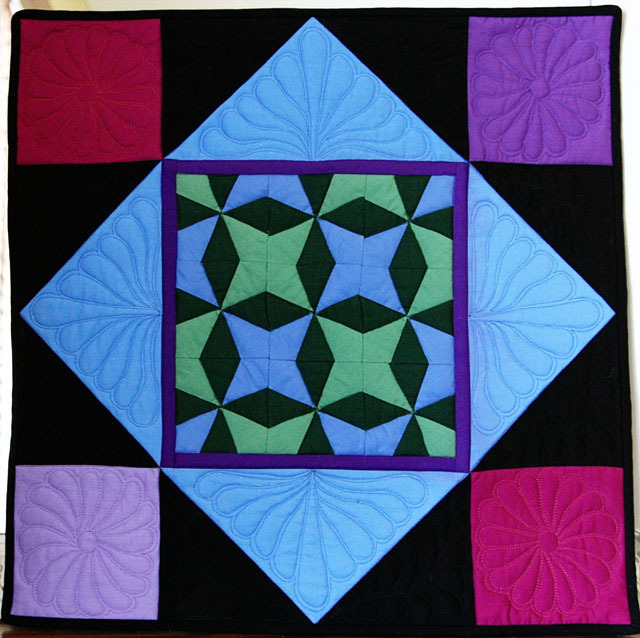 This one of my favorite little quilts…and I hope you enjoy it, too! 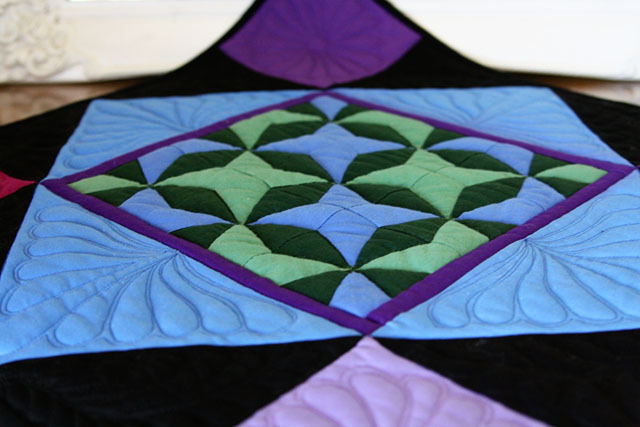 You might also like the Fall Vase Quilt and the Summer Flowers quilts. 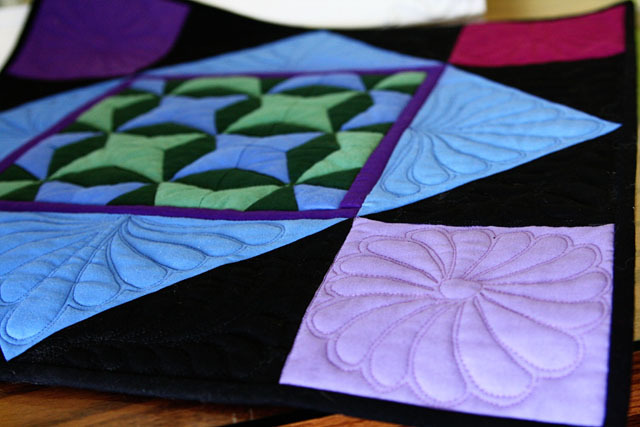 Both are orphan block quilts. So dig out those Little Orphan Annies and see what you can do! Don’t forget to leave a comment on The Valentine’s Day giveaway. This is a beautiful quilt. 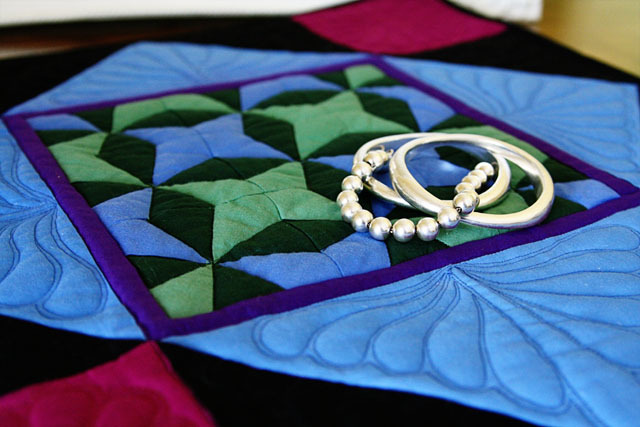 I love the simplicity of Amish quilts. 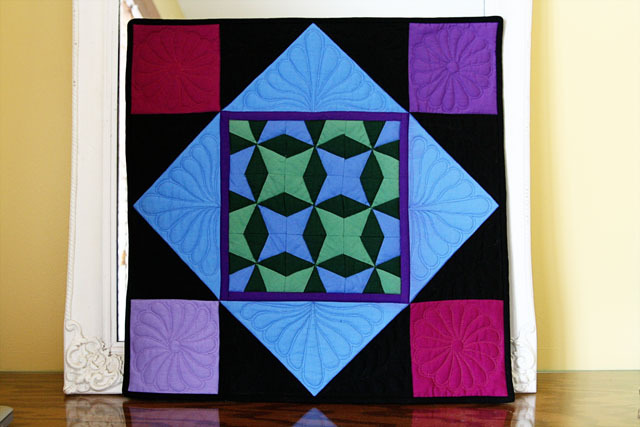 I love Amish quilts, too. 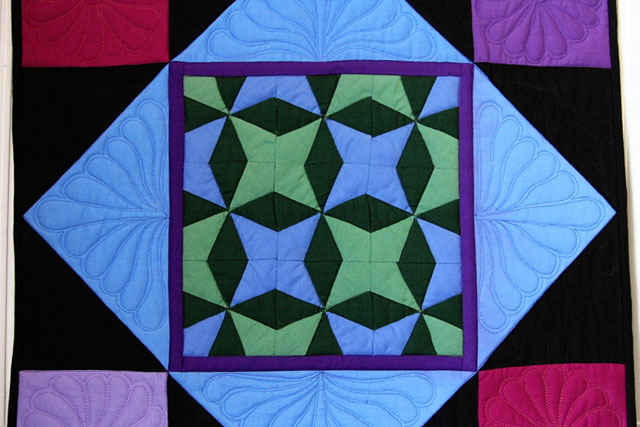 I think it would be fun to stitch an Amish quilt with bright, hand dyed fabrics as well. I wish there were 34 hours in each day! I know, or if we didn’t need sleep! Wow, they really liked the bright colours didn’t they? I love the colors you used in the corners! That adds a really nice spark to the quilt. 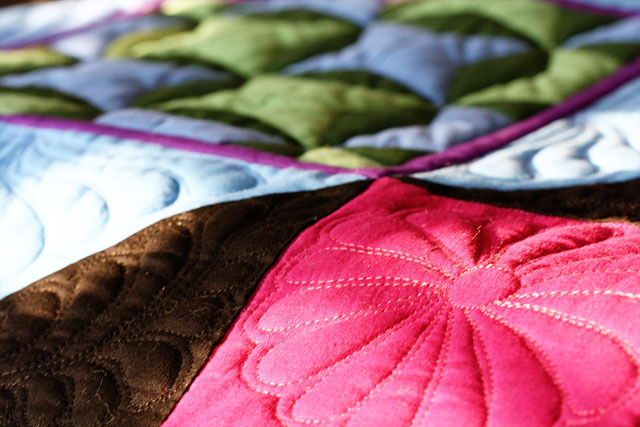 The quilting is beautiful! I’m with you – more hours in the day would be a big help. This is absolutely gorgeous!! You made a beautiful piece from the “orphan” block.